Fundraiser by Watts Next : Watts Next? Makers workshops making a difference! Watts Next? Makers workshops making a difference! After both volunteering with Help Refugees in the Calais woodyard last November, we saw the direct impact empathy has on displaced communities. This got us thinking about what more we could do as ordinary people to help. It turns out that annually, around 25 million people are displaced due to climate-related phenomena. Experts estimate that by 2050 this figure will rise to between 150 and 300 million (a population equal to that of Brazil). Human activity and our energy usage is a major driver of this, but public conversations about migration currently centre around fear instead of empathy and many people are unaware of the link between climate and migration. We are developing a workshop: Watts Next? We want to talk to as many people as possible about the current and future state of climate migration. But we need your help! To approach the big funders and tour the country sparking conversations, we need to prove that we can deliver on our promise, by running our first (proof-of-concept) workshop. That’s where you come in, we need to raise £500 to get the ball rolling. Even the smallest donation can make a big difference and, so you know where your money’s going, we’ve given you a breakdown of exactly what we’re spending it on. 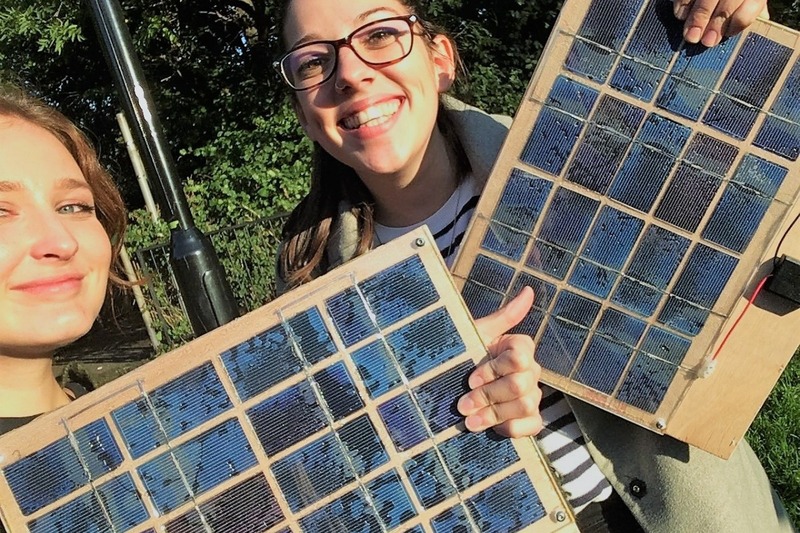 At our workshops, we will be teaching you how to make an 8V/5W solar powered phone charger, to highlight alternative energy we can be using. You’ll learn how to solder, how to do wiring and generally have a great time making! At the end of all that, the chargers will be donated to refugees in Europe as a personal energy source to charge their phones! 1. Educate on the link between Climate Change and Migration. 2. Engage with the science of sustainable and solar energy. 3. Create empathy and awareness for current migrants and their situations.